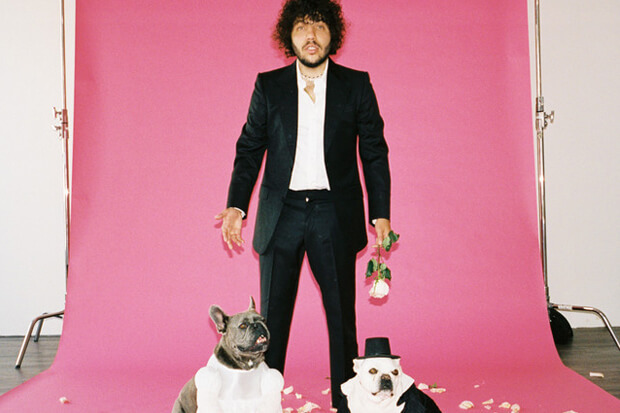 Benny Blanco Debuts With Khalid & Halsey-Assisted "Eastside"
The super producer is releasing a single featuring Khalid and Halsey. Writer and super producer Benny Blanco has crafted some of the biggest hits of the last decade. The 30-year-old worked with the likes of Katy Perry (“Teenage Dream”), Britney Spears (“Circus”), Rihanna (“Diamonds”) and Julia Michaels (“Issues”). Earlier this week he announced plans to launch an artist project, and that officially starts today (July 12) with the release of “Eastside.” The nostalgic anthem features vocals from Khalid and Halsey as well as a writing credit from Ed Sheeran. The star-studded lineup itself all but guarantees a smash. Unsurprisingly the final product definitely delivers on the hit-factor. Singing about a forbidden romance over a breezy production, Khalid opens the track. “When I was young I fell in love. We used to hold hands, man, that was enough.” However, the fates (and his partner’s dad) were against the relationship. So they carried on their story on the down low. “She used to meet me on the Eastside. In the city where the sun don’t set. And every day you know that we ride through the backstreets in a blue Corvette.” Playing the role of his lover, Halsey comes in for a verse of her own. Looking back on the earliest days of their relationship, she longs for those simpler times. The more the merrier, and this is also indicative of how he feels about releasing music. He told Lowe that he has at least 30 songs featuring “your favorite artists” that he’d like to release. “I think they’re tight, and I think people should hear them,” he said. While we wait for his next bop to drop, check out his debut release below!